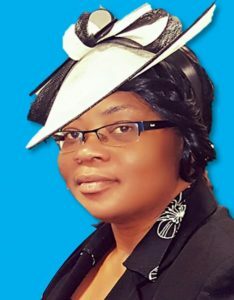 Evangelist Yvonne De Cunha was born in the UK. She attended the Mt Zion 7thDay Church of God in Streatham with her parents, under the leadership of Bishop E S Henry prior to emigrating to Guyana in 1973 at the age of 9 where she lived for many years. She gave her life to the lord at the age of 16. During her teenage years she developed an enthusiasm for learning and teaching young children. As a result, her parents encouraged her to take up the role of a Children’s Sabbath School Teacher which she did for many years. In 1988, driven by her enthusiasm to learn she returned to the UK to undertake her nursing and midwifery training. Her secular field of work provided the opportunity to gain extensive management and leadership experience, and a Masters in this field. Her enthusiasm to learn, and educate others and a desire to see the Mt Zion conference progress is reflected in the work she does within the church.